Japan claims that it administeres the Diaoyus (known as Senkadus in Japan), but Chinese coastguards fleets patrol the waters of the islands regularly. Not only so, Chinese fishing fleets fish there and Chinese drill rigs operate there regularly. Who actually administer the islands? SCMP reports Chinese coastguard fleets’ patrol and Japan’s protest in its report “Coastguard on the front line as Japan protests over Chinese incursions in East China Sea” yesterday. If SCMP publishes regular reports on such regular patrols and protests, its readers will be fed up by them. This time, however, SCMP’s report aims at telling its readers about US plan to send a coastguard boat to patrol the East and South China Seas. What is the use of one coastguard ship? Can it drive away Chinese ones? Comment by Chan Kai Yee on SCMP’s report, full text of which can be found at http://www.scmp.com/news/china/diplomacy-defence/article/2133215/coastguard-front-line-japan-protests-over-chinese. Japan on Thursday lodged a protest with China after four Chinese coastguard vessels entered what Tokyo considers its territorial waters near disputed East China Sea islets and a drone-like object flew near one ship, the Japanese government said. It was the first such flight near the islands witnessed by Japanese officials, although Thursday’s incident takes to 13 the number of intrusions this year by Chinese coastguard ships in the contested waters, Japan’s coastguard said. Japan and China have long been at loggerheads over the tiny, uninhabited islands, called the Senkaku in Japan and Diaoyu in China. They are controlled by Japan but claimed also by China. Kenji Kanasugi, director-general of the Japanese Foreign Ministry’s Asian and Oceanian Affairs Bureau, protested to the Chinese embassy in Tokyo by telephone. “The Senkaku islands are Japan’s inherent territory and the entry into the territorial waters by the Chinese government ships is absolutely unacceptable,” a Japanese Foreign Ministry official said. The Chinese embassy responded to the Japanese protest by reiterating “China’s own stance” on the islands, the official added. In a brief statement on its website, China’s State Oceanic Administration confirmed that four coast guard vessels had been patrolling by the islands, but made no mention of any drone. In its report “Chinese fighter ‘flies within 50km’ of disputed Diaoyu Islands” today SCMP says, “Chinese jet fighters have approached the disputed Diaoyu Islands several times since late May, with one flying within 50km of Japan’s territorial airspace around the islets, a source in the Japanese government has said. Tokyo scrambled its Air Self-Defence Force (ASDF) fighters in response”. Tokyo’s concerns are quite ridiculous since it respects Hague ruling that regard Taiping Island as a rock for lack of inhabitability. The Diaoyus known in Japan as Senkakus also can be regarded as not inhabitable according to Hague ruling’s standards. They are but rocks. What is the problem for Chinese ships and warplanes to operate near them? That is quite different for China as China rejects Hague ruling; therefore, China is justified to fish and exploit oil and gas within its exclusive economic zone 200 nautical miles around the Diaoyus. As for Chinese government ships sailing within 12 nautical miles of those islets, even if those disputed islets are Japan’s territories, Japan shall not be concerned as the ships are conducting freedom of navigation operations there since Japan supports such freedom of navigation operations of US navy in the South China Sea. Japan shall not protest even if Chinese warships sail within 12 nautical miles of Japan’s four major islands. That is why I said in my post “China Stupid in Opposing US Freedom of Navigation Operations” that the US is stupid in advocating freedom of navigation of its warships within China’s territorial waters while China is stupid in opposing such freedom. When Chinese navy has grown strong enough, its warships can conduct similar operations within 12 nautical miles of US coast. Now, Japan also advocates such freedom and Chinese navy is quite strong compared with Japan’s. It can send its warships within 12 nautical miles of Japanese coast, let alone the Diaoyus that China regards as its own. Japan shall welcome such freedom of navigation operations instead of being concerned! One thing my blog mainly does is to point out the wisdom and stupidity in countries’ and politicians’ policies, actions, statements, etc. I hope readers enjoy that though my description of stupidity may sound offensive to their patriotic ears. Just make fun like US television audience who enjoy US TV shows that make fun of US presidents’ policies, actions, statements, etc. Some of my readers’ comments may indeed be offensive but I allow them as they have freedom of speech in my blog. Do not read them if you do not like them. In fact, you have the freedom to refuse to view my posts or write comments to oppose my views when you have viewed them and readers’ comments. In my post yesterday titled “Japan Panicked as 7 of 10 Chinese Government Ships Armed with Cannons”, I says based on HK radio that Japan regards the situation as very serious as it finds that 7 of the 10 Chinese government ships in the sea area near the disputed Diaoyu Islands (known as Senkakus in Japan) carry cannons. Japanese foreign minister directly contacted his Chinese counterpart Wang Yi and asked Chinese ships to leave as soon as possible. China’s official media Global Times says in its report today that Japan has lodged 23 protests over the past 5 days through various channels against Chinese government ships and fishing boats operating within 12 nautical miles of the disputed Diaoyu Islands. The operation of 15, the largest number ever, government ships in disputed waters is obviously China’s retaliation at Japan’s interference with China’s disputes in the South China Sea. Japan is not a party to the disputes nor a South China Sea country, but it has been urging China to respect the Hague ruling on the dispute and even expressed “deep concern” over China’s rejection of Hague arbitration ruling in its annual defense review on August 2. However, neither Japan nor China wants tension to deteriorate without limit. Japan elected Toshihiro Nikai, a pro-Beijing politician, as secretary general of Japanese Prime Minister Shinzo Abe’s ruling Liberal Democratic Party because after all Japan has lots of investment and interests in China. China, on the other hand, wants to keep good economic relations with Japan. 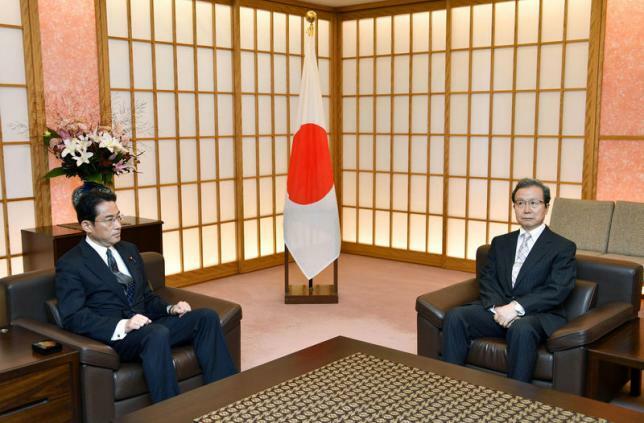 As a measure to ease the tension, Chinese ambassador to Japan Chen Yonghua visited Nikai to congratulate him. SCMP says in its report titled “Why are Chinese vessels sailing off the Diaoyus? According to Beijing’s envoy, they’re after ‘big fish’” today that Nikai expressed his concerns to Chen about the operations of large number of Chinese government ships in disputed waters. Chen was previously very tough and contended that the area is China’s territory waters, hinting that Chinese ships were there to claim China’s sovereignty. However, to Nikai who he regards as a friend, he said instead that the unprecedented large number of 15 Chinese government ships were there for a “big catch of fish”. SCMP says that Nikai said he was told by Cheng Yonghua that “fish were markedly concentrated” in the area around the islets. As Chen told Nikai Beijing would address the situation “sincerely” and has agreed with Nikai on a plan to seek an amicable solution through dialogue, the crisis must have been over now. However, there has been no sign that China is withdrawing its government ships and its fishing boats have remained there to conduct large-scale fishing. This blogger has pointed out in his previous posts that the disputed islands are but useless rocks and what China care is the fish and energy resources around them. Now China is getting the benefits of having the disputed islands by exploiting the fish and energy resources there. Is there any need for China to take the disputed islands by force? Better maintaining the profitable status quo and let Japan has nominal administration of the disputed islands. What is the point to have military conflict with Japan for those worthless rocks? It has been Japan’s earnest desire that the ruling of the Permanent Court of Arbitration (PCA) will be entirely unfavorable to China as that will give China enough trouble in the South China Sea and help contain China’s rise. Japan sees China’s rise as a threat as no one can be sure that China will not retaliate the misery Japan caused to China when it invaded China. It has turned out that the ruling is entirely unfavorable, but China’s strong response that challenges the US to fight and US inaction has resulted in Chinese dominance of the South China Sea. 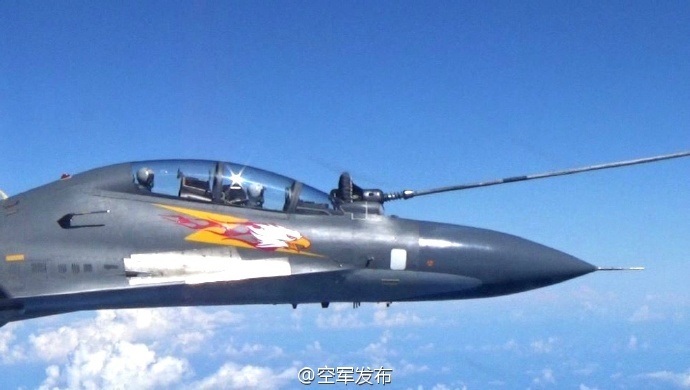 Now, Chinese air force is conducting regular combat patrol of the South China Sea to scare rival claimants, especially the Philippines. In order to further scare the Philippines and retaliate Japan’s interference with China’s disputes with the Philippines, China now takes counteroffensive in the East China Sea by sending an unprecedented large fleet of government ships to the sea areas near the disputed Diaoyu Islands (known as Senkakus in Japan) to provide protection China’s large fishing operation there. What can Japan do in response? Japan protests but China simply disregards the protests and stresses the islands and the water near them are China’s. Reuters says that Japan has warned China of worsening ties over the dispute, but in the past the ties were deteriorated due to the dispute and Japanese Prime Minister Abe’s visit to Yasukuni Shrine. It was Japan that took the initiative to improve the ties while China simply does not care about that. Japan has lots of investment and interest in China. It will be Japan who suffers greatly from the deterioration of ties. Japan warned China on Tuesday that ties were “deteriorating markedly” over disputed East China Sea islets, and China’s envoy in Tokyo reiterated Beijing’s stance that the specks of land were its territory and called for talks to resolve the row. Tensions between Asia’s two largest economies have risen since Japan saw an increasing number of Chinese coastguard and other government ships sailing near the disputed islets, called Senkaku in Japan and Diaoyu in China, over the past few days. 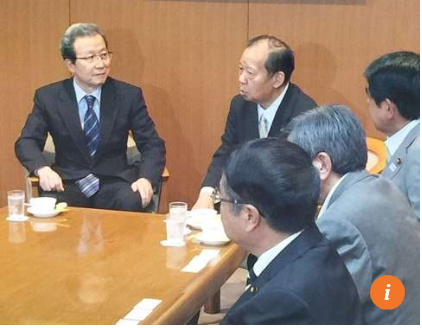 Cheng said after the meeting that he told Kishida the islands were an integral part of China’s territory and that the dispute should be resolved through diplomacy and dialogue. “I told him that … it is natural that Chinese ships conduct activity in the waters in question,” he told reporters. “I also told him both countries need to work on dialogue through diplomatic channels so as not to make things more complicated and escalated,” Cheng said. The United States, its Southeast Asian allies and Japan have questioned Chinese land reclamation on contested islands in the South China Sea, particularly since an international court rejected China’s historic claims to most of that sea last month. China has refused to recognise the court ruling on a case brought by the Philippines. Japan called on China to adhere to it, saying it was binding but Beijing warned Japan not to interfere. Ties between China and Japan, the world’s second and third largest economies, have been plagued by the territorial row, the legacy of Japan’s wartime occupation of parts of China and regional rivalry. China has sent 2 more coastguard ships to the sea area near the Diaoyus (known as Senkakus in Japan), setting a new record of having 15 government ships there. The number of boats fishing there has risen to 400 from 230. Japanese media are shocked by the size of coastguard fleet and some of them regard China’s operation as an attempt to make such operation an established one. 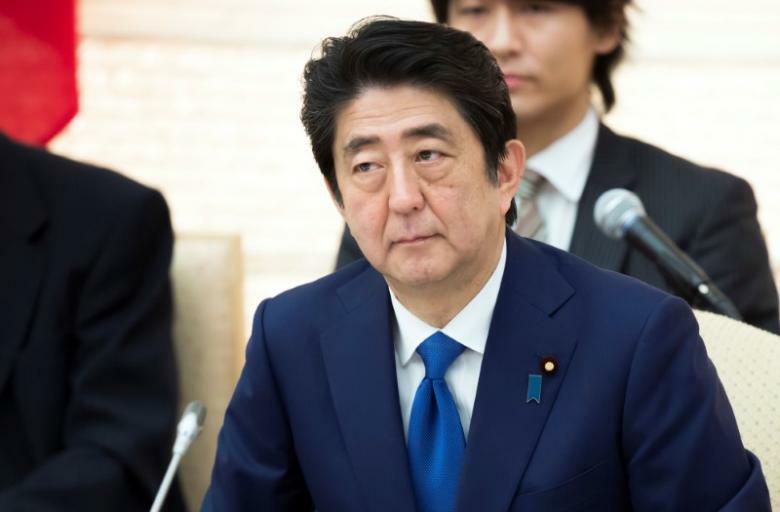 Japanese Prime Minister Shinzo Abe told provincial departments concerned to calmly and resolutely deal with the incident according to international and domestic law and gave the instruction that Japan shall intensify coordination with the US and other countries concerned to provide “correct intelligence” to Japanese people and international community. However, the website of NHK TV stressed on August 8 that according to the fishery agreement between Japan and China, both countries’ fishing boats can conduct lawful fishing in the sea area.